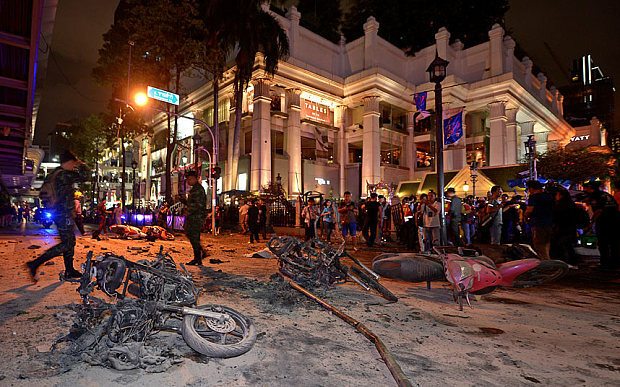 Bangkok rucksack bomb. Syria air raids. Kabul car bomb. Baghdad car bomb. Civil war in Sudan. These are all in the news just from this week. Why are we as human beings so easily convinced that killing other people will bring about what we want – a better society, freedom, justice etc? A friend who served for many years with the British Army in Iraq, saw horror & tragedy on a massive scale and witnessed a country being ripped apart by war and terrorism. He asked me the question “When will we ever learn that when we send war to a country, we leave it worse than when we first arrived? The cost of violence is always higher than any benefit that might be gained.” History bears this out. There have been a few times when war has been the lesser of two evils (WW2 could fall into this category) – but so often when we look at conflict after conflict – whether involving national armies, civil war, ‘freedom fighters’, terrorism – the cost of the violence always outweighs any benefit.